There are a few juggernauts when it comes to online movie and television streaming. Netflix, the former DVD mailing service, HBO Go, the online streaming portal for all HBO based programming. And as it pertains to what we will be talking about, one of the most comprehensive television series and episode services; Hulu. 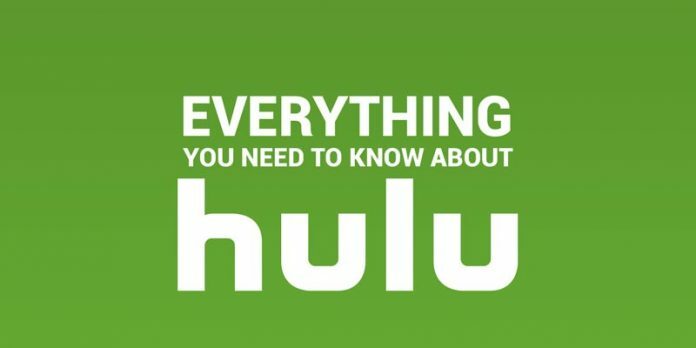 We’ll explore all the different ups and downs of Hulu, and possibly help you to decide if they are worth adding to your list of online streaming subscriptions. Hulu was created in 2006 with the concept and goals of combining content from some of the worlds biggest media companies. ABC/Disney, Fox, and NBC (Comcast) executives partnered in the venture to provide their content in one online streaming platform. It was eventually launched in February of 2008, with Hulu.com as the destination for all of their programming. Eventually acquiring content from a wide range of television channels, their library of content continually began to grow. Hulu began releasing their own brand of original content as of early 2011, with their series The Morning After acting as the inaugural program. Before this original shows and movies had not been a focal point of their services. Two of the most popular shows with Hulu distribution, The Daily Show and The Colbert Report, worked to gain the massive popularity among viewers. But eventually, their partnership came to an end. They also penned an exclusive three-year distribution deal with the creators of the animated show South Park, spiking their popularity due to the massive fan base of the series. Hulu has become the king of television series and episodes by continually gaining the rights to new channels and programs. Resulting in availability in the United States and Japan, they currently boast around 12 million users, with revenues reaching close to $1 billion. Hulu, is their base and more affordable subscription option. With the price currently set at $7.99 a month, it offers all of their programming “with minimal interruptions” for commercials. Practically speaking, this means commercials before, during, and after an episode of one of their television programs. This “Limited Commercials” package has seen different variations throughout the years, with it at one point being offered for free. The No Commercials plan is the second tier subscription plan. The monthly fee is $11.99 a month, with it boasting the ability to watch any of their shows without the interruption of commercials. However, this isn’t entirely true for all their shows. 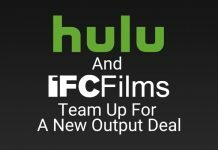 Select programs on the higher-end Hulu subscription do actually include commercials at the beginning and end of select shows and movies. Subscribers stay with Hulu for huge the selection of programming. Touting classic shows such as Seinfeld, Family Guy, South Park, as well as new popular shows like Brooklyn Nine-Nine. As the popularity of streaming rises so do the means to stream. As a result, cord-cutters have the ability to stream content almost any place with an Internet connection. We’ll break down some of the most popular ways to stream Hulu. For smooth playback, you need minimum download speed of 1.5 Mbps for Standard Definition videos. You need additional bandwidth to stream in HD and 4K Ultra HD. One of the most convenient ways to watch Hulu is to simply download their app from the Google Play Store, or the Apple App Store. This will give you access to all your shows from your phone. The app is very smooth and it is a great option for watching while on the run. Both Apple and Android tablets can be used to stream the Hulu app. Being able to stream to a tablet carries a much more enjoyable viewing experience. This is due to the portability of a mobile device, combined with the screen real estate of a larger computer. It’s a great option for Hulu subscribers. The Apple TV is one of the oldest devices to be released. Multiple generations of devices have been introduced since its inception. An excellent solution for those who are already Apple customers, it combines movie rentals, music streaming, subscription streaming (like Hulu), and photo galleries. All these features work hand-in-hand with Apple devices you may already own, such as your iPhone or iPad. The Google Chromecast, one of the newer and unique options, was released in 2013 with an extremely affordable pricing option and small form factor. One of the main differences is its complete lack of traditional UI, with all of the content streaming being powered through an outside device. With most phone and tablet apps supporting its functionality (including Hulu), it offers a more simplistic approach to online streaming. Google has also recently released a 4K model of the Chromecast, giving you the ability to stream any available 4K content right through your enabled app. The Roku has been another long-standing streaming device. They have prided themselves on offering a more traditional “set-top” based device, with most models including a remote. With 4K HDR models, small compact “stick” based models, and other feature varying devices, they have offered a well-rounded line-up of products to fit their customer’s needs. The last, and possibly one of the most convenient options, is the integration of smart devices into newly manufactured TVs. With built in streaming apps, new Ultra-HD, 4K, and 4K HDR televisions potentially have a default Hulu app built in. With this out-of-the-box functionality, it takes all of the guess work and additional hardware out of the equation. This leaves you free to simply sign into the app and enjoy your favorite shows. If you have the extra cash, a Smart TV may be worth it. From the beginning, Hulu’s focus has been on streaming TV shows. The best thing about Hulu is their massive TV library featuring thousands of titles. It offers the largest selection of cable programming, with old and new episodes of your favorite series constantly being added. This means classic sitcoms like Seinfeld can be enjoyed whenever you would like. No appointment television, no adjusting your schedule around air-dates. In addition to the massive archive of TV shows Hulu has developed a strong selection of original content. As far as original content is concerned, Hulu has really stepped up its game as of late. Although Hulu is not necessarily synonymous with original programming, they have been steadily adding quality series that are definitely worth watching. 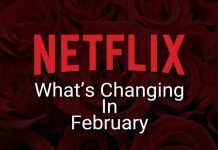 Among the noteworthy original programs are The Mindy Project, Difficult People, East Los High, The Hot Wives of Orlando, Shut Eye, Harlots, the animated comedy The Awesomes , and more recently The Handmaid’s Tale. There is much more that is worth checking out. Hulu Live is currently available in beta. The new package includes all local, regional, and standard cable channels available in your market. The service is available for $39.99 and includes all of Hulu’s normal content. Local and regional channels will differ depending upon which market you are in. This package includes support for up to two simultaneous streams. You also get 50 hours of cloud-based DVR. This is not a lot but considering Hulu has one of the largest on-demand libraries this isn’t a huge concern for most people, especially since it means you don’t have to go out and purchase a separate DVR. However, if this is an option if 50 hours is not enough for you. 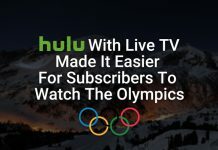 Due to the nature of short contract periods and distribution rights to certain shows, you may see some of your favorite programs simply disappear from Hulu. 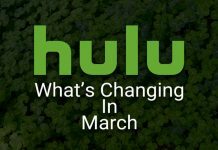 Hugely popular shows being removed after their contract expired has been one of the biggest thorns in the sides of Hulu users. For example, recently the CW recently had all of its shows removed and CBS has greatly reduced its offerings. While losing the rights to programming isn’t something exclusive to Hulu (similar problems occurring with services such as Netflix), Hulu was hit especially hard in the past when it comes to some of their most popular shows. The Daily Show and The Colbert Report were examples of hit shows simply being removed once their exclusive contracts were up. These were some of the most popular programs to be featured on Hulu and saw a huge user base increase once the shows were introduced. Unfortunately, after Hulu removed those programs, it left many users upset enough to cancel their subscriptions. The addition of commercials in their lower end paid subscription, as well as the more premium “No Commercials” package, has rubbed many of their customers the wrong way. Some have found the idea of a paid service requiring commercials, especially a paid “No Commercials” subscription requiring commercials, to be a nail in the coffin for them as a customer. Even if the commercials don’t interrupt the program itself. Hulu has found itself as one of the cornerstones in online streaming. Acting as the go-to for hundreds of television shows, it truly is an excellent alternative for many broadcast series you’d otherwise be unable to watch. Furthermore, it’s good for a user base that is especially fond of the older shows and series, giving the ability to re-watch some of your favorite shows from Fox, NBC, and ABC. Not only does it have a huge library of content, it is supported by almost every piece of technology with an Internet connection and screen. Hulu has proven to be a great option for streamers and the evidence of this is the millions of subscribers. While many are perturbed to pay a monthly fee and still be required to watch commercials, others insist this is exactly what a normal cable subscription entails. Only on a larger scale and at a higher cost. Either way, it is hard to argue against the endless amount of quality programming for less than $15 a month. In conclusion, we recommend Hulu for those of you love to binge watch old series. Hulu lets you enjoy some of the best sitcoms ever released on national television throughout history. Instead of spending a small fortune on a DVD box-set of your favorite show season-by-season (seriously, some of them cost $100 per season), you can enjoy all those same episodes (and many many others) for a fraction of the price.